Researchers in South Australia have discovered a new complex carbohydrate in barley, the first polysaccharide of its kind found in more than 30 years. The cereal polysaccharide has the potential to be used for many applications in food, medicine and cosmetics. The research by the University of Adelaide’s School of Agriculture, Food and Wine, has been published in the American Chemistry Society journal ACS Central Science. The discovery was made by Senior Research Scientist Dr Alan Little, and the team at the University of Adelaide’s Waite campus. “Plant cell walls contain components that are of major interest for many industries such as renewable sources for energy production, composite materials or food products,” said Dr Little. “Knowledge of this new polysaccharide will open up further research to determine its role in the plant. Polysaccharides are a carbohydrate whose molecules consist of a number of sugar molecules bonded together. The new polysaccharide is a mix of glucose, commonly found in cellulose, and xylose, which is found in dietary fibre. Based on the relative proportions of each sugar, the hybrid polysaccharide has the potential to behave as a structural component of the wall providing strength or conversely as a viscous gel. Existing polysaccharides have a wide range of uses. They improve the quality of dietary fibre in porridge and are also used extensively in biomedical and cosmetic applications. Further research is required to understand the new polysaccharide’s potential uses. Dr Little said the properties of the new polysaccharide could be manipulated to suit the desired function, increasing the range of potential uses. He said the genes involved in the biosynthesis of the new polysaccharide were also discovered as part of the research. 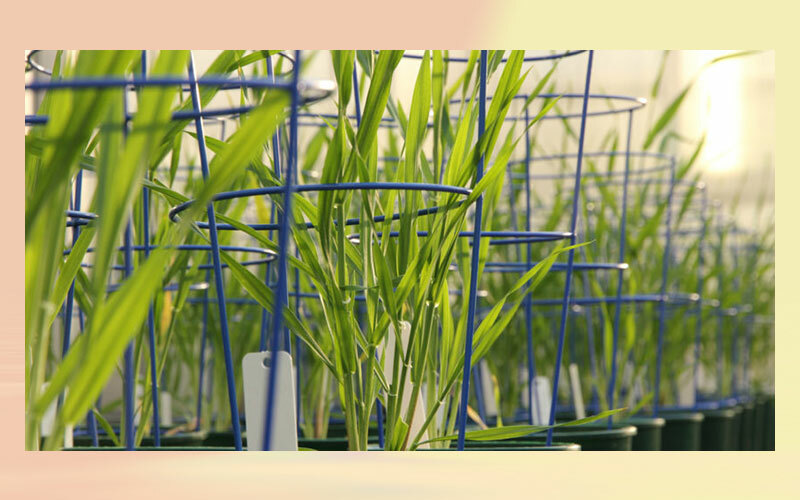 “The same genes can be found in all major cereal crops – not just barley,” Dr Little said. “We can now use this knowledge to find ways of increasing these polysaccharides in crops, providing the possibility of generating plant material with a range of potentially different physical properties for industrial applications.